Here we're once more, the coveted Wine of the Week, from a producer who may need a bit of introduction, for wine enthusiasts outside of the Southern Oregon wine scene. This winery is a local favorite, in the Umpqua AVA, located south of the well-known Willamette Valley. A short trip down the I-5 corridor to sample a variety of wines not produced from the iconic Pinot Noir grape. People will often ask me to recommend wineries in town, and Reustle is in my top five. The Umpqua wine region offers the average wine enthusiast a multitude of different varietal expressions, and many of those will be unexpected, like the Bull's Blood I recently encountered. At the same time those expressions of tried and true varietals are also evolving here in Southern Oregon, and until you take the time to slow down, taste its textures, flavors, and breath in its aromas, you may have a hard time understanding what it is, I'm attempting to communicate here. That said, consider these words an invitation to visit not only the Umpqua Valley, which is gorgeous in many respects, but head even further down south and check out the Rogue Valley, some of the wines I've sampled there are quite good. 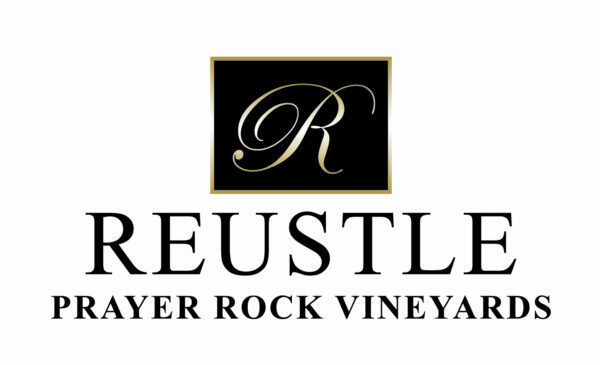 Reustle Pray Rock Vineyards 2015 Riesling: Here's the review pulled from the Wine Lab adventures. I found the color in the glass to be light, slightly greenish to yellow hay, bright clarity. The aromas were, aromatic and delivered the classic Riesling characteristics. A trace amount of petrol, a bit carbonated, stone fruits like apricot, lime rind, wet stone, and white peach flesh. The taste was a bit off-dry, tho the acidity was crisp, the body was medium, and the tannins were moderate, well integrated. On the palate, kiwi slices, grated lime rind, wet stone minerality, stone fruits, apricot, peach, and nectarine. The finish was long and persistent. I would recommend this wine, especially those seeking to pair this wine with spicy cuisines, like Thai food. This wine also found its way into the 'recommended' category, my score 89 points. Reustle Pray Rock Vineyards, like Abecela, has won many hearts and minds with the average consumer in the local area and beyond, filling empty wine glasses with reasonably well-made wines which deliver sound quality, but not necessarily the kind of QPR I'd hope to find. RPRV is many things to many people, and they produce enough wine for distribution, year around, their wines are widely accepted, and have a loyal following. What many folks don’t know is that while RPRV is smart to have an excellent balance of DTC with a chain store line added to their marketing mix, they also make many bottlings which are not available in distribution, but are exclusive to wine club consumers. The wine in today's WOTW review should currently be available in their tasting room. If you’d like to visit their tasting room in Roseburg, a short drive from Eugene, about twenty, to thirty minutes or two and half hours from Portland if there's no needless doddle. The grounds there are beautiful and inviting. The staff is open and friendly. They offer a variety of wine tasting experiences, with different price points and educational opportunities, many of which take place in the wine caves, which are quite chilly on a summer day. They provide an opportunity for fantastic family-friendly summer concert series each year. RPRV offers an impressive array of wines at all the major price points, reds, whites, dry roses and the first U.S. winery to produce a varietally correct Gruner Veltliner, something for everyone, even wine snobs like me.